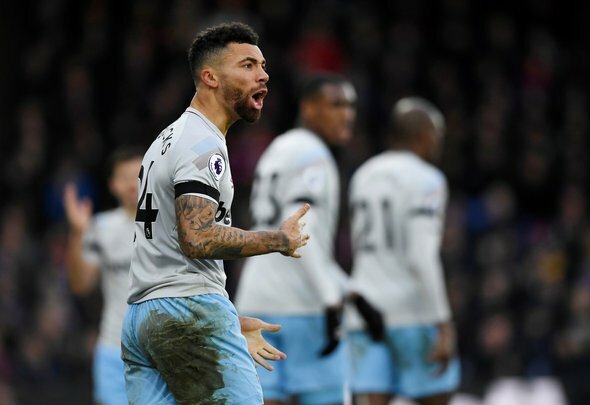 Ryan Fredericks had a bit of a tough time in West Ham United’s 1-1 draw with Crystal Palace on Saturday. In his defence, the 26-year-old was up against Wilfried Zaha, one of the most difficult marking assignments in the Premier League. However, you would expect him to do better than the weak effort he mustered at Selhurst Park. It was Zaha who eventually drew the Eagles level, preventing the Hammers from securing an important victory. What was most worrying about Fredericks was his continued inability to execute the offside trap. He continually played Palace players onside, putting his team in repeated danger. He really needs to cut that out of his game because you can’t afford silly mistake like that at this level. He didn’t play horribly, indeed there were some good moments, but he needs to work on the things that aren’t going well before he can be considered an automatic starter ahead of Pablo Zabaleta. Fredericks having a mare!! Being torn a new one.